A smooth transfer from one party to another is a fundamental goal of most real estate transactions. Unfortunately, uncertainty about who owns the property could affect a conveyance. At Pulgini & Norton, we investigate and resolve issues related to these situations. Our real estate lawyers have significant experience with matters regarding conveyances in the Boston area. Contact us today to discuss your concerns. 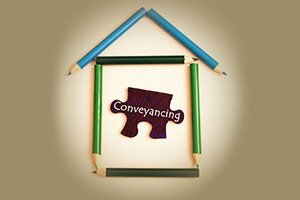 Conveyance is the legal transfer of title or interest in real property from one person or party to another. Whether in a purchase or the mortgage refinancing process, the conveyance of real property requires clear and marketable title, handling and distribution of the mortgage proceeds, recording of the mortgage, and the discharge of a previous mortgage. It also involves the preparation and review of numerous documents, such as the careful drafting of a Purchase and Sale Agreement and a thorough examination of the title report. If that document raises any red flags, it could affect the buyer’s financing options and the seller’s ability to convey the property. While many conveyances are relatively straightforward, others may be stopped in their tracks because of title issues. In Massachusetts, a seller has to convey what is considered clear and marketable title. In other words, he or she must be the owner of the property and have the right to sell it. The buyer should ensure that the seller clears up any problems that could restrict the buyer’s ability to get a mortgage or sell the property later. A search and examination of the title can uncover any liens, encumbrances, or other problems that could cloud the matter of who has title. In a sales transaction, the Purchase and Sale Agreement can provide ways for the buyer and seller to protect their interests in case title issues arise. This document governs the rights and obligations of the seller and buyer. It should state that the seller is responsible for clearing up any title issues, but it can also provide a reasonable timeframe for the seller to cure any defects. Additionally, the agreement can limit the seller’s financial exposure in resolving title issues. From the buyer’s perspective, the purchase and sale agreement should include language that protects it if the seller cannot clear title, or if there are financial ramifications during the time it takes for the seller to resolve any issues. For example, the buyer may want to limit the period the seller has to cure any defect before the expiration of its mortgage commitment. The closing is when title to the property is transferred or conveyed. The seller, buyer, and lender will execute various documents related to the conveyance of the property, including the deed, mortgage, and note. The deed must be properly drafted to show the transfer of title from the seller to the buyer. It must then be recorded with the registry of deeds in the area in which the property is located. The proceeds from the sale are then distributed to the appropriate parties. Our attorneys can coordinate the closing, recording of the necessary documents, and distribution of funds. The property attorneys at Pulgini & Norton have more than four decades of experience handling real estate transactions for clients in Boston and the surrounding region. We review title reports, identify issues that could affect the conveyance or transfer of title, and advise clients on how to address or resolve these issues. We review and negotiate documents to protect our clients’ interests and work toward facilitating a timely and smooth closing. We serve individuals in Waltham, Quincy, and Newton, among other communities. Call our office today at 781-843-2200, or contact us using our online form for a consultation.